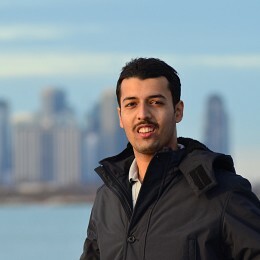 A freelance sports writer and enthusiast. As a young teenager, I was always fascinated by the No.4 in Test cricket. Is this an ICC Champions Trophy or an ICC Upsets Trophy? South Africa’s win in Wellington against New Zealand was perhaps their most defining Test victory since their mighty win over Australia in Perth last November. 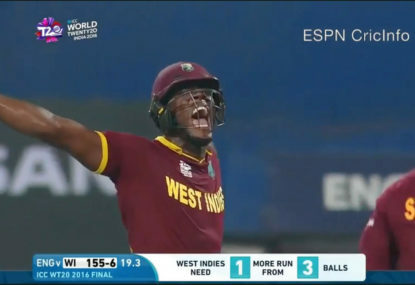 When you think about fast bowling, you immediately tend to think about the bowlers from West Indies from the 70s and 80s. The Holdings, the Garners, the Roberts and the Marshalls. The third Test at Edgbaston in Birmingham against Pakistan saw England captain Alastair Cook become the highest run-getter for England across all the three formats, surpassing Kevin Pietersen’s tally of 13779 international runs. Alastair Cook and England put a full stop to all the doubts surrounding their inability to play spin, particularly leg-spinner Yasir Shah by registering an authoritative 330-run victory over Pakistan at Old Trafford in the second Test. What are the root causes of Test cricket's decline? Test cricket used to be cricket’s bread and butter, though the traditional format of the game is unfortunately going through a process of slow death. Kevin Pietersen is a South African-born Englishman who, on his day, made batting look ridiculously easy. From being sublime on one day to being terrible on the other, his batting very much resembled his way of life. The World T20 has ended and it’s time to play some club cricket. It is IPL time. The ICC World T20 2016, a tournament that started off under heavy criticism over being unfair to associates, was already a huge success by the time we came to its business end. 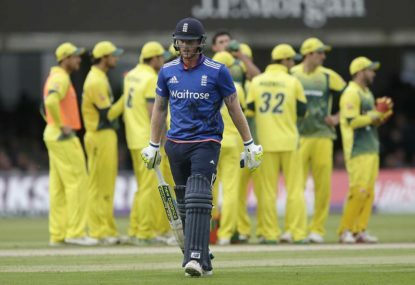 Australia's conundrum at World T20: Round 2 all all-rounders? Having witnessed Australia’s performance so far at World T20, it’s clearly evident that Australia certainly have a huge conundrum of picking the right team. Paul, I guess you misunderstood my point about relevance of the World Cup. What I was trying to put across the board was the fact that since World Cup is so important and the most decorated price of our game, how playing T20 cricket for two months and with hardly any break between the tournaments help the players prepare themselves better for the World Cup? Instead with some time off from the game would have helped the players prepare methodically for the World Cup and for conditions they need to counter in UK. If that was the case, players would have also had more time up their sleeve to get themselves fully fit physically and freshen up mentally before leading into a marquee tournament like the World Cup. Personally as a Tennis fan, I enjoy watching Tie-breaks. However, on the downside of it, if all the sets have tie-breaks, potentially a player can win the championship final without breaking his/her opponent even once, that’s absolutely rare to occur, but theoretically can occur. And that is the exact reason why I feel at least the championship final should not have a deciding set tie-break and should be played as per conventional rules. Also, there are players, especially those who have weaker serves than others, it will be extremely unfair to them if we have a final set tie-breaker as the margin for error in these tie-breaks is very less. On the men’s side of the draw, it would be really interesting to follow the progress of Russia’s Karen Khachanov and Georgian Nikoloz Basilashvili in this year’s Aussie open. Both have made remarkable progress in 2018 and certainly are good players on hard courts. May be if they are not still capable enough to win a grand slam yet, they surely have a potential to cause a big upset or too. By defeating Novak Djokovic at Paris Masters in the final and giving Rafa Nadal a huge scare at last year’s US Open, Karen Khachanov certainly has an all-round game to challenge any opponent at the Australian Open. Basilashvili for the first time ever in his career made to the second week of Grand Slams at the Flushing Meadows last year and won the Shanghai Open defeating Del Potro in the final and his improved game accompanied by power is certainly to look forward to at the first slam of 2019! Not only Pujara’s ability to score big runs, score those daddy hundreds but also the amount of time that he spent in the middle virtually broke the fulcrum of Australia’s bowling. Moreover, the way in which Pujara played Lyon, especially at MCG & SCG, nullified the impact that he had created in Perth and made life a hell lot easy for all the other batsman as India’s batting revolved successfully around Pujara’s stellar show of immense concentration, denial and willpower. If it was not for his 123 & 71 at Adelaide Oval in the first and second innings, we all could have witnessed a familiar old story unfold, but Pujara, the author of the story was in no mood to let that happen! I don’t think the away Test wins has became a norm as yet. Even in the past, we had scenarios where touring teams won two to three away series within a space of say 3 months, but it didn’t take long to revert this trend back to normal as home teams continued their trashing of the tourists. More recent example of this is South Africa beating England in England 2-0 and beating Aussies in Australia 1-0 & England defeated hosts India 2-1 in 2012. But what happened next, we continued to witness complete home dominance yet again and this time too, I would be highly astonished if we come across a different story! Indeed a very well thought and very well written article. If you take a look at India’s current No.3, No.4 & No.5 in Cheteshwar Pujara, Virat Kohli & Ajinkya Rahane respectively, you almost immediately get a glimpse of their predecessors in that order. Pujara in many ways resembles to Rahul Dravid, both pillars of concentration who could just bat sessions after sessions. Not only their batting styles match, they resemble each other quite a bit in character and personality too. We have talked enough about how Kohli is one of the finest and ideal successor to none other than the little master Sachin Tendulkar himself at No. 4. And Rahane just as VVS used to be for India, is always there when his team needs him the most, both more of a 2nd innings players, may not score big hundreds, but scores those hard-earned 60’s & 70’s. India certainly have started 2019 brilliantly by batting huge in SCG Test and promising time lies ahead as far as Indian Cricket is concerned! Just how successful were the last 12 months for India? To me, the most significant part of Jasprit Bumrah’s success is his inherent ability to adapt quickly to all the formats of the game. In an era, where we have horses for courses and many bolwers limiting themselves either to red ball or white ball cricket alone, Bumrah indeed stands out among his contemporaries not only with his ability to effectively switch between formats but also with his unique variations that he showcases at various stages of the game! One of the main reason why India won the Adelaide Test was Cheteshwar Pujara, scoring brilliant 123 in the first innings and stout 71 in the second. One of the main reason why India were able to put up big scores was Pujara, piling on runs in heaps and bounds throughout the series. One of the main reason why Australian bowlers were made to chase the lather in scorching heat was Pujara, holding one end up, batting for lengthy duration of time as Indian batting revolved around his stellar performances. And one of the most important reason why India is going to retain the Border-Gavaskar trophy is Pujara, doing what no other batsman did from either side, just bat and bat and bat and slowly but surely disintegrated the opposition bowling attack! Since the time Matt Hayden hung up his boots in the SCG Test of 2008-09 against South Africa, how many settled opening pairs did Australia have since then? Just two right, Katich-Watson for a year and a half and then Warner-Rogers for about 2 years and rest is all about innumerable, at times illogical rotations at the top. Apart from that, after Gilchrist’s retirement, only Brad Haddin was little stable in the team, otherwise it’s again rotation between Wade, P Nevill and T Paine. At times, I just wonder is this issue just limited to this or Australia indeed lack supply and monitoring of talent to replicate what their predecessors did? Or simply, are we just unfair to them by comparing them to their previous generations of cricketers who were kind of a once in lifetime bunch of players playing the game for extended length of time? I guess Australia have same problems in bowling department as that of India as the core of their bowling in Tests as well as ODI’s revolves around the same players. It’s extremely important to keep the bowlers fresh before the long world cup. There is huge rift between the way the modern day ODI cricket is played and Tests as compared to say 12 years back when Aussies defended their world title in the Caribbean, That’s the reason I guess the English have the best chance to win the world cup as they have always had two set of bowlers- one specialized for red-ball cricket & the other for shorter versions of the game since their debacle in world cup of 2015. Yes indeed, India had a perfect opening day in the office to kick start their new year on a high note. But they were lucky too, to win the toss and bat first. It’s still yet to be seen, but I guess Kohli has erred in picking Kuldeep Yadav over third pacer Umesh Yadav. And had they been bowling first, we would have had two spinners bowling from both ends right at the 10th or 12th over mark. May be the day’s outcome would not have been that fruitful for India had that been the case. And in my opinion, KL Rahul has looked completely out of sorts throughout this series and it would have been far better had M Vijay been picked over Rahul. He looked quite promising in the second innings at Perth, he is a much experienced campaigner and may be he won’t have scored lot of runs but at least he would have spent some time in middle, blunting the new ball and opposition bowlers. So it was better option to recall M Vijay over Rahul, at least as per my perspective. And in spite of that team India have gone with two spinners in Jadeja & K Yadav. Just as they misread the pitch at Perth in the second Test, I guess they have missed the trick here too. It would have been a rather safe option to replace an injured pacer with another pacer in U Yadav, even though the later has been found struggling with the ball off-late. And with no other players offering any option of part-time medium pace bowling, selection of extra spinner can disrupt the balance of Indian bowling attack which has been the cornerstone of India’s recent triumphs, thereby putting an additional workload on the shoulders of Bumrah & Shami. Is the SCG still a spin-friendly track, or is it all just a myth? Hello Kopa, while I respect your opinion, can you explain how this is a small team or a team made full of little boys as you say? Kohli’s overall Test numbers, Pujara’s current sublime form, Rahane’s exceptional batting average away from home and record number of wickets taken by India’s pacers in 2018 are just remarkable. And if you are not judging a player by his or her numbers or performances on field, what’s the other criteria to judge them? Just so as you know, even on India’s previous successful tour down under in 2003-04 when they drew level with the hosts 1-1 , the Aussies had to field a depleted bowling line-up as their premium spinner in S Warne was serving a ban and Glenn Mcgrath was injured while India played with their full batting strength and yet the series was drawn. So if India indeed manage to win their first Test series down under, lot of credit must go to team’s consistency and India’s domestic cricket structure back home and they certainly deserve praise, don’t they? Novak Djokovic’s redemption has been the biggest positive of 2018. However, it’s sad to see the likes of Juan Martin Del Potro & Marin Cilic falling short in Grand Slams yet again in what we may call so near yet so far. While the performances of big three in men’s side were quite impressive, 2018 is another year in example which shows that the next gen stars like Zverev, Thiem and many others have lot of ground to catch if they wish to topple the big guns in majors! There is no problem in implementing something like a 100 ball match or even T10’s that are played at different levels of cricket unless you don’t alter the basic rules of cricket. Introducing something like 5 ball overs or last over of 10 balls or something fickle like this would just increase the complexity of the game not only for the fans to understand but also for players to adapt to. And the innovations or changes that we have come across so far have not come at the expense of changing the basic rules of cricket. Or if you really want to change a particular basic rule like number of bowls in an over, it would be wise to have that change implemented uniformly across all the forms of the game to make these changes more logical and simple for one and all. And I hope they don’t bring into existence something like limiting the maximum speed of the delivery as that would be like killing the contest once and for all! In many ways actually. 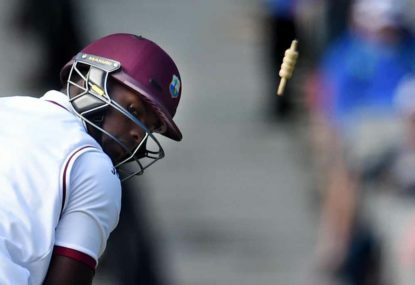 Just as players have to restart each time the new session begins in Test match, players will need to start from scratch as the new innings starts. Just as we can have four totally contrasting innings in Test Cricket, the 4 innings in this new style of one-dayer can differ in variety of ways unlike the monotonous style of current one-day cricket. Also, having four innings like in Test cricket can add a sense of unpredictability or uncertainty unlike current ODI format where more often than not you can predict who the winner is going to be. With Rohit Sharma pulling himself out of the new year Test at the SCG, as you mentioned Nachiket, either of H Pandya, R Ashwin or K Yadav can take his spot. But I have a slightly different take on this. India’s bowling has always looked good throughout the year and the moment batsmen start putting runs on the board, we have seen the team producing positive results. But, not replacing Rohit Sharma with a front line batsman would make India’s batting look depleted and this can allow Australia chances to make inroads. So how about Vihari drops down to his usual No.6 spot, the position at which he looked far too composed and organized and include regular and experienced opener in M Vijay to accompany newcomer Agarwal at the top. Even though M Vijay hasn’t been impressive in this series so far, he showed positive signs in the last innings at Perth. This might just do the trick for India as it will ensure India’s batting order stays balanced. And as far as Ashwin & Jadeja are concerned, it’s team management’s call whether they would be happy to stick with Jadeja or they want to replace him with Ashwin. But certainly, both of them should not play together from my perspective as SCG track supports spin is now like an outdated myth if you see the numbers from the past 4 to 5 years. Instead of implementing this obnoxious ideas which involve changing of basic rules of Cricket, how about we show a little innovation by trying Sachin Tendulkar’s idea which he mentioned a few years back involving 2 innings per side in an one-day international. However, I would like to suggest a slight modification by playing an ODI match of 40 total overs per side which would mean each side would play two innings of 20 overs each and we can have new ball for every innings. In this way, not only the playing time would be reduced from 8 hours to say 6.5-7 hours but also it would nullify those scenarios which involve an unfair advantage to the team winning the toss. And last but not the least, it would be analogous to T20 & Test Cricket simultaneously which totally can add a new dimension to the game like never before! I know you mentioned about India’s debutant opener M Agarwal. But he needs a special praise, doesn’t he? In his very first Test, in front of a huge crowd, in one of the iconic Test match of year, he looked calm and composed, not showing up signs of anxiety or nerves. 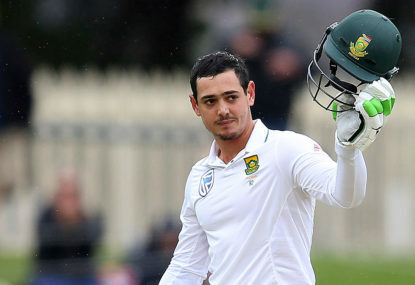 Not only he played brilliantly in first innings, but also did exceptionally well to hang in there while he saw his fellow mates tumbling at the other end. 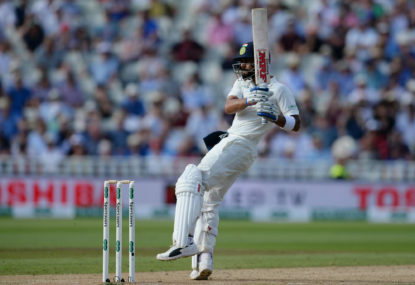 And by no stretch of imagination has India’s opening conundrum being resolved as Vihari even though he was able to blunt the new ball, his shortcomings to short pitch stuff have been clearly exposed. 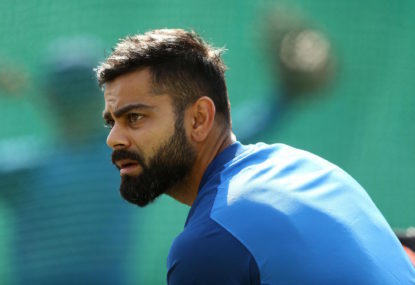 If team management is indeed keen to continue him as an opener beyond this series, he needs to tighten up his technique, especially against the rising ball or else he looked far more composed and temperamentally strong down the order at No. 6! This might sound a step backward, but we all know its impossible to look beyond Smith & Warner once they become eligible to play. So how about Australia while selecting top 6 for the upcoming SCG Test and Sri Lanka series that follows, keep in mind which 4 players they want to play in the top 6 alongside Smith & Warner for the Ashes? I guess, either Marcus Harris or Joe Burns would be opening the batting for Australia alongside David Warner in the Ashes. So play both of them as openers for the three Tests that Australia play before the Ashes. 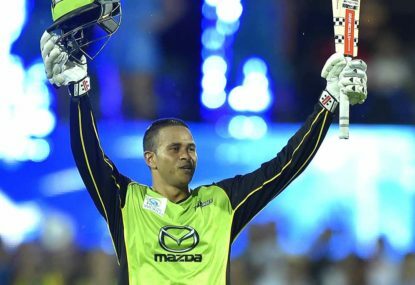 Khawaja at No.3 is a no brainer as he is best batsman in the current Australian team. I would go with Shaun Marsh, may be for one last time at the SCG unless he comes up with something exceptional at Sydney or else as it is, his Test career stands on knife’s edge in the new year Test. I guess selection dilemma of Australia was expressed in simple words by Harsha Bhogle in an interview with Adam Collins as he said selectors are forced to pick players who could do bit of this and bit of that but not enough of either. And I guess that sums it up! Buy yes, three Tests to go before the Ashes and Australia must ensure that they know who their other four players are by the end of these three Tests. What fascinates me so much is the fact that while Rabada and Cummins got their Test call-ups soon after making their debuts in limited overs international cricket, Bumrah made his Test match debut precisely two years later after he had put on Indian colours in ODI’s & T20I’s. In a way he made a smooth transition from white-ball cricket to red-ball cricket much like how David Warner adapted his game to longest form of cricket after his heroics in limited overs cricket. And his slower ball dismissal of S March on the very last ball before lunch on day 3 of the ongoing MCG Test is a testimony of how effective limited-overs style of bowling can be in Test cricket too, in fact, it can be a lethal weapon if executed accurately. And as far as terrific trio is concerned, while Bumrah is just 8 Test matches old, cummins has played just 16, so I guess it’s far too early to comment on whether they would be equally terrific or not say 2 to 3 years down the lane, but surely we have promising young prospects in Rabada, Cummins & Bumrah who can become the torch-bearers for the pacers of the generations to follow. There are two possible but distinct scenarios to analyze India’s batting display on the first two days of boxing day Test match. One, we could well say well played India taking into consideration all the dilemma that was surrounding the selection of opening duo and the amount of criticism their batting order received in the previous Test. And with 443 runs on the board, it’s hard to imagine India losing the game from here unless Aussies bat really well for two days and put up 500-550 on the board and Indians crack cheaply on the final day. We could well say, they have assumed a great position of safety at least as far as this Test is concerned. Looking from other perspective though, one could well argue, Indians should have been more proactive and aggressive with the bat. With the amount of overs they played and time in the middle they spent, they are about 100 to 120 runs short of what they could have achieved. With 440 and not 550 on the board, Australia might just feel safe and may be, if they bat well, have a slim chance of putting their nose ahead in the later stages of the match. 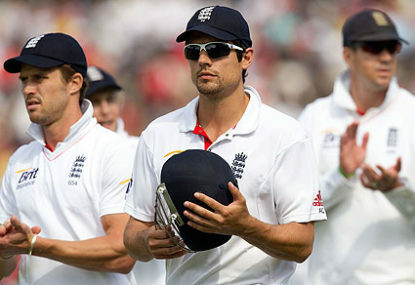 Had India played faster on Day 2, they would have well completely ruled out Australia from this Test match. But for now, let’s wait and watch what happens on day 3! Jokes and sarcasm apart, but India must find a way to win this series. If your No.1 ranked Test team cannot win even win out of three away series it is playing, then it is by no stretch of imagination justifying it’s numero uno spot. If you look at the other teams from the past who were ranked No. 1 or either were at the peak of their prowess, have managed to dismantle the home teams. With India being cricket’s current superpower and all the facilities that players get these days, its a matter of huge concern as far as Indian Cricket is concerned that they haven’t even once tasted Test series win either down under or in the rainbow nation. However, there are two major roadblocks that are making the Indian team look thin. Along with the curious case of Indian openers failing to provide any form of solidity at the top, all of India’s bowlers except R Ashwin or Jadeja(whoever plays), look like No. 11’s. Technically, India played with four No. 11′ s at Perth. May be the opener’s problems can be resolved soon, but you can’t play with four No. 11’s, can you? And that’s a brand of cricket that was kind of common say 20 years back. Only time will tell, if India actually manage to find a solution to this scenario, till then India’s middle order should try to bat with twice as much as responsibility as they are doing it now. If not now, will India ever secure a series victory in Australia? Indeed, a very articulate style of writing, meticulous use of phrases and keen attention to detail not only to stats and known facts but also to lesser known facts about Rafa which we generally are not aware of. If rivalry between Nadal and Federer was the talking point about Nadal’s first half of his career, the fiercely fought contest between Djokovic and Rafa mesmerized us in the latter half of his career. I guess we are so occupied by Fedal (Nadal 23-15) that we don’t give enough justice to Djoko-Nadal (Djoko 27-25) contest which is by far the most evenly matched contest. What Rafa did to Fed, defeating him in three major finals( French Open, Wimbledon 2008 & Australian Open 2009) in a space of a year was what Djokovic exactly did to Rafa( Wimbledon, US Open 2011 & Australian Open 2012) and it was fascinating to witness the history unfold as Federer in 2008-09 & Nadal in 2011-12 simply had no answers against their rivals. And yes, if Federer is the most admired player of our generation, Nadal surely is most loved. I understand that M Vijay has been having a terrible run with the bat this year, but is his immediate sacking justifiable or we stick to him till the end of this series? He is been around for 10 years, he is an experienced campaigner and he showed some promise with the bat in second innings at Perth and we all know that he is more than capable to bat for long hours in the middle. It sounds too much of a risk throwing both newbies Shaw and M Agarwal at once to open in an all important boxing day Test match. Just sacking Vijay & Rahul and bringing two newcomers does not guarantee you runs anyways. And Vijay, from my perspective, with all the things that he has done in the past, deserves one more chance. So, my openers would be Vijay & P Shaw, if the latter is fit or else M Agarwal can get himself ready for the biggest day of his career so far.